If you like loud color shirts or loud patern style shirts, Steven Land is the biggest name in the game. Steven Land shirts are all cotton and made with best quality and style around. 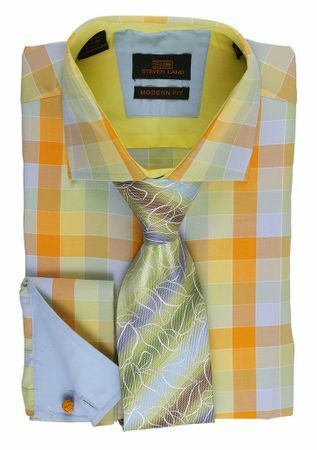 This lime multi color cube pattern shirt features a bold style design and is made of all cotton. Sorry, Tie not included.